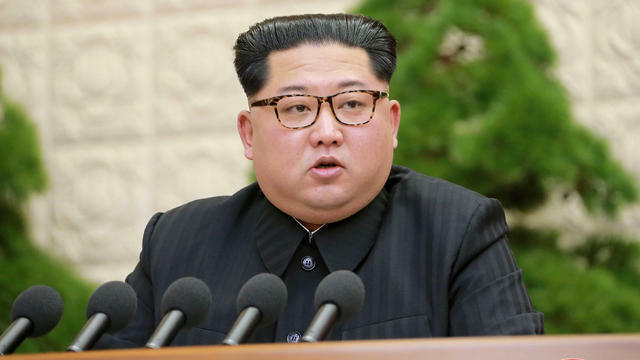 SEOUL, South Korea -- North Korean leader Kim Jong Un wants Pope Francis to visit the officially atheist country, South Korea said Tuesday. South Korea's presidential office said in a statement that Kim told President Moon Jae-in during their summit last month that the pope would be "enthusiastically" welcomed in North Korea. Kim has been intensely engaged in diplomacy in recent months in what's seen as an effort to leverage his nuclear weapons program for an easing of economic sanctions and military pressure. North Korea strictly controls the religious activities of its people, and a similar invitation for then-Pope John Paul II to visit after a 2000 inter-Korean summit never resulted in a meeting. The Vatican insisted at the time that a papal visit would only be possible if Catholic priests were accepted in North Korea. Moon plans to convey Kim's desire for a papal visit when he travels to the Vatican next week. Moon said on Monday that he expects Kim to visit Russia soon and possibly hold a summit with Japanese Prime Minister Shinzo Abe. The Vatican did not comment on the possibility of a papal visit. But immediately after the news, the Vatican press office released a statement confirming that the pope would receive South Korea's president in an audience at the Vatican on Oct. 18. Vatican spokesman Greg Burke said the audience will come a day after the Vatican secretary of state, Cardinal Pietro Parolin, celebrates a Mass for peace on the Korean Peninsula in St. Peter's Basilica, where Moon will participate. Francis visited South Korea in August 2014. On the plane ride back to Rome, he expressed hope that the divisions would be overcome, saying "the two Koreas are brothers, they speak the same language." "When you speak the same language it is because you have the same mother, and this gives us hope," the pope said. "The suffering of the division is great, and I understand this and pray that it ends." North Korea's reported overture comes a few weeks after the Vatican signed a landmark deal with Communist China, North Korea's closest ally, over bishop nominations, aimed at ending decades of tensions that contributed to dividing the Chinese church and hampered efforts at improving relations between China and the Vatican. Following an unusually provocative run of weapons tests last year, Kim has been on a diplomatic offensive since the start of this year. He initiated offers for summits with Seoul and Washington, which led to three meetings with Moon and a highly choreographed June summit with U.S. President Donald Trump at which they issued an aspirational goal of a nuclear-free peninsula, without describing how or when it would occur. Kim has presented himself as an international statesman, sharing food, wine and laughs with South Korean officials and appearing thoroughly at ease during his meeting with Trump in Singapore. But post-summit nuclear negotiations between North Korea and the United States got off to a rocky start, with the North accusing Washington of making "gangster-like" unilateral demands for denuclearization, and calling for sanctions to be lifted before any further progress in nuclear talks. There are doubts whether Kim is willing to fully relinquish his country's nuclear weapons, which he may see as a stronger guarantee of survival than whatever security assurances the United States could provide. U.S. Secretary of State Mike Pompeo visited Kim in Pyongyang, North Korea's capital, on Sunday for talks on setting up a second summit with Trump. The Vatican's priests were expelled by North Korea long ago and state-appointed laymen officiate services. Estimates of the number of North Korean Catholics range from 800 to about 3,000, compared to more than 5 million in South Korea.